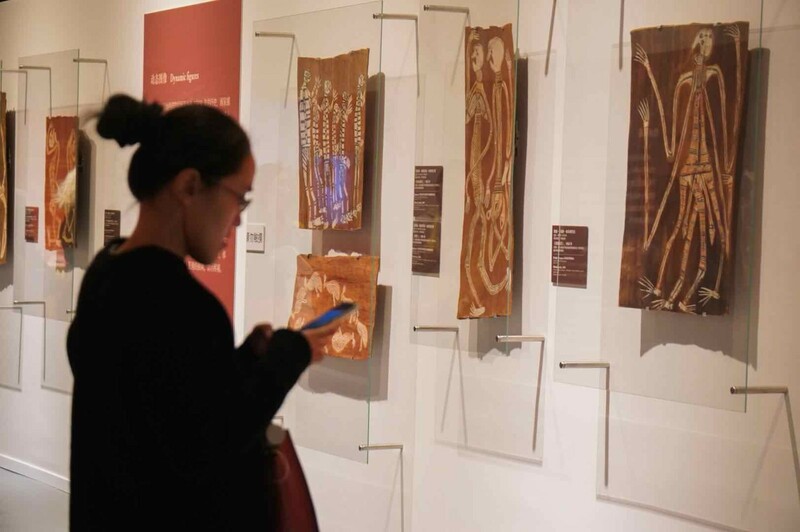 From November 15, 2018 to January 6, 2019, the " Masters: Great Bark Artists from Australia ", launched by the Australian National Museum, will be exhibited at Shanghai Natural History Museum (a branch of Shanghai Science and Technology Museum). The bark paintings created by aboriginals in Arnhem, Australia are national treasures collected at the Australian National Museum. More than 110 representative aboriginal bark paintings and items are on display during this exhibition. Bark painting is a unique art form created by the aboriginal artists of Australia, whose rich culture is embodied in the exquisite patterns of bark painting.